Ladies Rock Camp Showcase! | COMO GIRLS ROCK! ← Register for Ladies Rock Camp! At Ladies Rock Camp you can learn an instrument, start a band, and play a show…in 3 days!!! Come experience what happens when women get together for a weekend to learn, share, create, and ROCK! 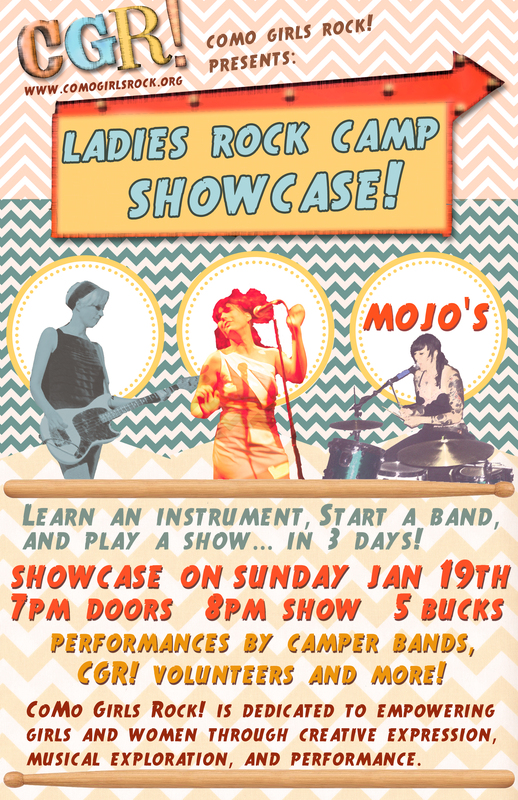 Ladies Rock Camp Showcase – Sunday, January 19th at Mojo’s – 7pm doors, 8pm show, $5 cover. Comments Off on Ladies Rock Camp Showcase! Filed under Events, Ladies Rock!